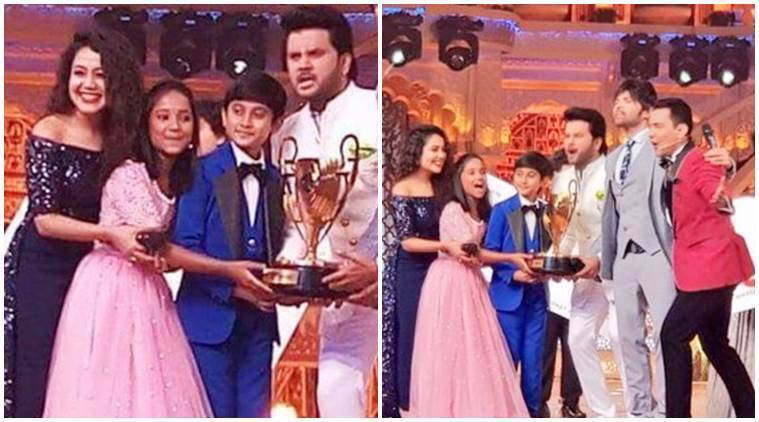 Sa Re Ga Ma Pa Li'l Champs winners: In a surprising twist, the makers announced not one but two winners at the finale held in Jaipur. In a true east meets west scenario, Shreyan Bhattacharya from West Bengal, and Anjali Gaikwad from Maharashtra lifted the winner trophy together. Anjali Gaikwad and Shreyan Bhattacharya are Sa Re Ga Ma Pa Li’l Champs winners. The musical journey of Sa Re Ga Ma Pa Li’l Champs will come to its climax tonight. After 10 long months of competition, the show has finally found its winner. And in a surprising twist, the makers announced not one but two winners at the finale held in Jaipur. In a true east meets west scenario, Shreyan Bhattacharya from West Bengal, and Anjali Gaikwad from Maharashtra lifted the winner trophy together. It is indeed a first time, that two people have been winners in any reality show. Sa Re Ga Ma Pa Li’l Champs is judged by Neha Kakkar, Himesh Reshammiya and Javed Ali, along with a 30 member jury. It is hosted by Aditya Narayan. Coming to these young champions, Shreyan is a 12-year-old boy from Midnapur, West Bengal. His melodious voice and humble attitude had made him dear to the judges and audience. Showing his versatality on stage, Shreyan performed on “Hawayein”, “Sooraj Dooba” and “Zalima” in the finale. An ardent fan of Jawed Ali, Shreyan had shared with indianexpress.com that his favourite moment on the show was when the judge told him that he crooned his song better than him. As for Anjali, the 11-year-old Mahrashtrian mulgi was a challenger and joined the show only recently. Her confidence and talent got her to swiftly make her way to the finale and the audience’s heart. The sweet little girl, for her finale act performed a medley on “Deewani Mastani”, “Jhalla Wallah” and “Main Kolhapur Se Aayi Hu”. Apart from Shreyan and Anjali, Dhroon Tickoo, Shanmukhapriya, Sonakshi Kar and Vaishnav Girish were the finalists. The spectacular grand finale event also saw celebs like Kapil Sharma, Bharti Singh, Ravi Dubey and Parag Tyagi present on the stage.